I recently read "We Are All The Same" and it is just such a good book that touches on so many of the reasons why I *love* non fiction so much. Not only is "We Are All The Same" incredibly touching - the book tells the story of a young South African boy born with HIV who is taken in by an adoptive mother, but you also learn so, so much history about South Africa and AIDS- but not in a boring text book way, of course! The author intertwines the stories together so while you are learning about Nkosi and his adoptive mother Gail, your understanding of the AIDS epidemic increases and vice versa. Non fiction books like this are also great because it gives the reader the chance to catch up or refresh their knowledge on a topic- for me, the AIDS epidemic, apartheid, etc. started a little before my time, it was incredibly enlightening to be able to get a full history of these important topics while also enjoying such a touching story as well! Click the link to read my blog post about "We Are All The Same" where I list Five Things I Learned by reading "We Are All The Same". Non fiction is such a good resource for "hot button" issues- a good, well researched non fiction book can get you caught up on an important issue way more reliably than Google. I was curious about immunizations when my son was born - I had heard a lot of talk about choosing not to vaccinate, a possible autism link etc. While I knew I wanted to have my son vaccinated, I also wanted to be able to discuss the topic intelligently and explain my decision. "On Immunity" is a great resource for vaccine information, is definitely pro vaccine, and presents all of the information in a very reasoned but also uniquely creative way. Check out my video review of "On Immunity" below! I had *no* idea what to expect when I started this book! It came onto my reading radar around the time of the recent election, and political books are kind of a big reading turn off for me, especially right now. The political climate is just exhausting, and reading is my safe/ self care space - but I am so glad that I took a chance on this book! "Hillbilly Elegy" never felt overly political- instead it was an incredibly interesting and motivational story about a young boy growing up in poverty who makes something of himself that no one would've predicted. I love that "Hillbilly Elegy" fights the assumption that is so common in low socioeconomic environments - no matter what I do, I'm going to be stuck here doing what I've seen my family/ friends/ etc. do. I can not tell you the number of times this book put a smile on my face because I was so proud and inspired by the author and his message. 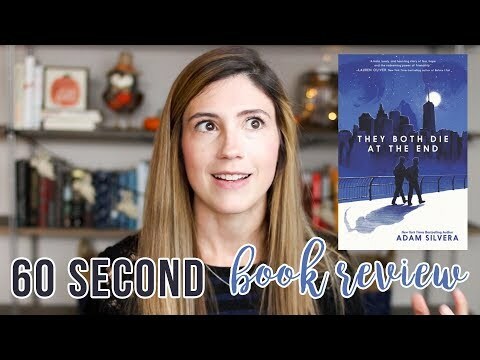 Check out my video review for "Hillbilly Elegy" below! Question of the day - do you cry easily when reading a book, or are you a little tougher to get to tears? What's the last book that made you cry? I do not consider myself someone who cries easily when reading, but phew, "Juniper" had me crying constantly! This is such a sweet and sincere story written by a couple who fought for years to become pregnant, and after finally successfully conceiving, gave birth to their daughter, Juniper, at 24 weeks gestation. I honestly have trouble even talking about this book because it makes me so emotional!!! Want some embarrassing ( to me : ) evidence?! Check out my video review of "Juniper" below! I have a ridiculously huge girl crush on Lauren Graham and could just gush about her, Gilmore Girls, and Parenthood for hours. I can count the number of times I have preordered a book on my hands, and this book was one of them! If you haven't read this insightful, funny, and adorable book yet, I highly recommend it. Lauren is such an excellent writer, and this book is the perfect peek behind the curtain of her life. 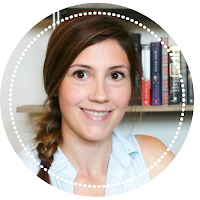 I couldn't put it down and finished it in one day, one glorious perfect day ; ) Click here to read a blog post about my Top 5 Favorite Moments from "Talking As Fast As I Can" by Lauren Graham. "7: An Experimental Mutiny" is a super unique read, and gave me the benefit of reading about something I struggle with every day - materialism. This book explores the true story of the Hatmaker family and how for seven months they practiced extreme minimalism. Each month had a different focus, ranging from food, to clothes, to entertainment - but whatever the focus, the author tried to pare her life down to only seven items. What if I only had seven pieces of clothes? Seven different books? ( I KNOW! CRAZY!) Could only eat seven different types of food? This book challenges the way that you think about your belongings and how they define you. I feel incredibly blessed to have the privileges that I do, and I think non fiction books like this gem are perfectly humbling, and inspirational, as well! Sometimes books fall into your life and lap at just the right moment in time- that is definitely the case for me with "Furiously Happy" by Jenny Lawson. While I had heard of "the blogess" before, I hadn't read much of her work. Shortly after giving birth to my son, I stumbled on her book about depression and anxiety- my heart swooned and felt a kindred connection with this stranger. Non fiction has this amazingly transformative power as you hear someone describe their inner thoughts and find yourself thinking- ohmygod, me too! If you struggle with depression or anxiety I highly recommend this book and author for some comedic stress relief. Another tear jerker that is absolutely worth the read. "When Breath Becomes Air" is about Dr. Paul Kalanathi, his life, and following his diagnosis with cancer, his death. Typically books like this scare me, as I have quite a bit of health anxiety - but Paul's writing about his coping with cancer while completing his medical training, the birth of his daughter, and overall just living a wonderful and meaningful life, was incredibly inspiring. The conclusion by his wife was touching as well. "When Breath Becomes Air" truly led me to mourn the death of the author- he was such an incredibly talented person and finishing his book I felt so glad to have shared the time I read it with him in the only way possible. Click here to read a full review of When Breath Becomes Air by Paul Kalanithi! Can you tell I love non fiction, yet? Well, here is another example of why! : ) "Quiet" by Susan Cain is all about introversion - a personality type that in general is sometimes looked down upon or questioned. Prior to reading this book, I knew I was an introvert- but I didn't know why, or what relationship that had with my tendency to prefer/ crave quiet, alone time. If you've ever wondered about what makes introverts tick or how family/friends/workplaces can become more introvert friendly- this is a great book. After reading "Quiet" I felt this sense of freedom to be me and embrace my introversion- it is incredibly liberating to know that your natural instincts have a reason and a purpose! Medical mysteries are fascinating to me - and the story of Susannah Cahalan's descent into "a month of madness" definitely caught my attention from the very start. I was moved by the faith that her family had in her, and she had in herself, to overcome this mystery illness that completely transformed her life practically overnight! The author, Cahalan, does such an excellent job weaving her personal experiences together with medical information, accounts from her friends and family, as well as the heroic doctor who fought for a proper diagnosis. Definitely a book I recommend. 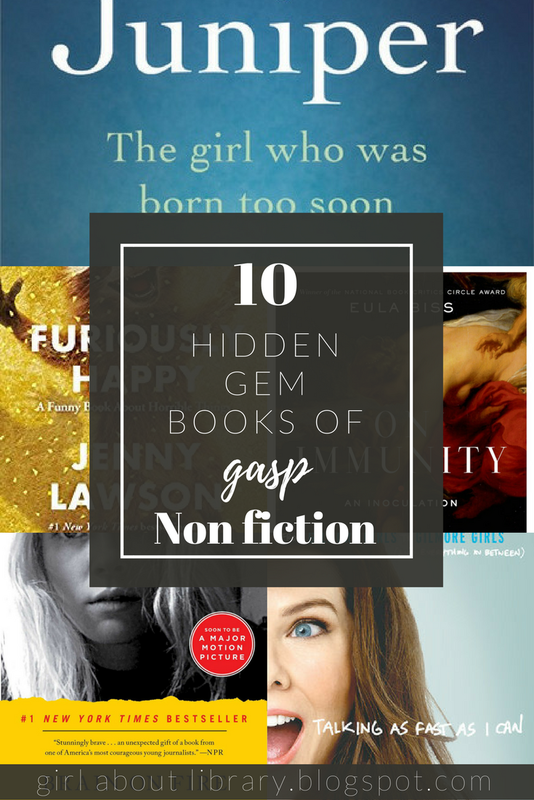 Have you read any of the non fiction gems that I loved? Let me know what you thought of these books below! What non fiction books have you read and enjoyed? I'd love some recommendations! I love Jenny Lawson! She never fails to make you laugh! She is hilarious! And her funny is made that much better because she is talking about things that from the outside might not be very funny. Such an awesome blog Katie!!! I am here from the Giveaway! Wasn't Talking as Fast as I Can just the greatest!? I really hope that Lauren writes another book soon. I also enjoyed her fiction book, Someday Maybe- if you haven't read it, I recommend it!